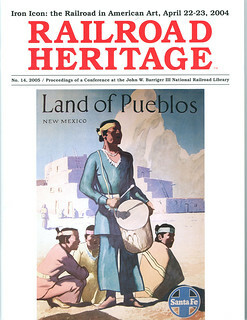 Special issue in cooperation with the John W. Barriger III National Railroad Library, St. Louis, featuring the papers given by the nine speakers, accompanied by many striking color and black-and-white images from the presentations. $14.95, 72 pages, color and b/w. Railroad Heritage nos. 2, 4, 7-10, 13, 15, and 16 are also still available, but in very limited quantities. Please contact us if you would like information about obtaining any of them. Nos. 1, 3, 5, 6, and 11-12 are out of print.